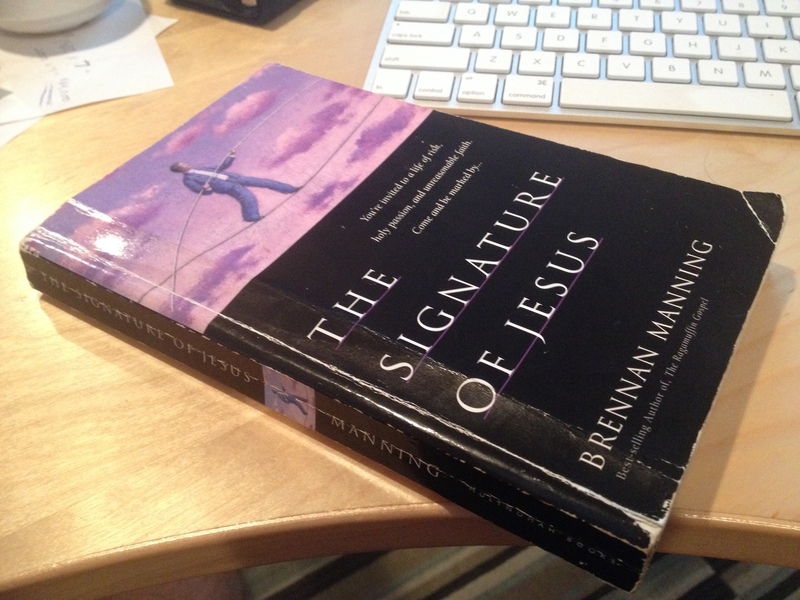 In November, 1999 a colleague gave me a copy of a book called The Signature of Jesus by Brennan Manning. I really didn’t like it. Maybe it was because I was consumed with a rebellious intellectual quest to remake the North American church. Maybe it was because I just wasn’t spiritually mature or ready to receive it. At any rate, I read it, and underlined a few different things, and then set it aside: it really hadn’t “taught” me anything. Then, sometime later, I decided to pick the book up again and read through it. For some reason—who knows why—this time I was ready. And it rocked my world like nothing I’d ever read. Manning wasn’t “cute” or overly-intellectual by any measuring stick: he was poetic, but in a forceful and time-tested way. He was obviously brilliant, but his theology found its way out through references to plays and poems and ancient monks and hermits that I had never heard of before. The man could write, and God was speaking (very loudly and clearly) to me write through his words. I needed to hear that. Brennan challenged me (over and over again; he wrote multiple books, and all of them contained similar marks of style and hard-hitting but poetic, “practical” theology) to not keep my spirituality abstractly in my head but to bring it out where my mouth, hands, and feet made use of it. It was what I needed, and I’ve read the book now probably a dozen times. It contains the reminders I need to live out my faith. In 2008, I was playing guitar at a conference that Manning was to speak at. Now, I’ve shared the stage with dozens of superstar speakers: Bill Hybels, Beth Moore, John Ortberg, Rob Bell and Louie Giglio, to mention a few. Most of them have been pleasant men and women, but none of them have ever captivated me or put me in any sort of nervous awe. This was the man who formed me in a way that few—if any—author or speaker ever had. We were rehearsing the music for the session when an elderly man in jeans that were patched with 30 different colors and textures of cloths walked up on the stage to test his microphone. I stopped in my tracks, and knew instantly who it was. I had a job to do, so I couldn’t talk to him then but my heart lept when I saw this man who had mentored me—maybe even fathered me in a way—for so many years. Then he signed it with a shaky autograph, and I was on my way. It was one of the most gloriously anticlimactic moments of my life. It’s actually difficult to communicate why this was so perfect. He was slightly (and perfectly) grumpy, and not slick in any sense of the imagination. There were no false smiles, no fake sense that I mattered to him. He didn’t write the books or speak or do book signings because somehow his ego needed to be stroked. He did what had to be done, and he delivered the books, the message, the signing with an understated and subtle presence that refused to bow to a false self, to the idol of fame. It would have been so easy for him to be false, to give me a slick smile and handshake. But instead he just said, “That’s great,” and signed his name. It’s one of my most prized possessions. This entry was posted in faith, personal and tagged brennan manning, Christianity, discipleship, Jesus. Bookmark the permalink. This book was given to me by Jarrett Stevens when I was a Senior in high school while I was in student impact. It also had a profound effect on my life. It is currently loaned out to one of the students I now mentor. The same purple covered copy with the dude on the tightrope … 🙂 great post my friend!